Robert Bridges was a hymn-writer in revolt. He produced his major works in the field of hymnody, the essay A Practical Discourse on some Principles of Hymn Singing, and The Yattendon Hymnal because of a deep dissatisfaction with the hymns of his day. To understand the nature of his work we must look briefly at his theory. Bridges begins the Practical Discourse by quoting Augustine on his emotions when first he heard the hymns of Ambrose sung at Milan with this he contrasts the experiences of the sensitive worshiper when he met contemporary hymnody. The need for reform was obvious, and Bridges laid the chief blame on the music, because this in his opinion conditioned the mood of the hymn more than the words. As the object of the outward form of a hymn is to assist the singer to a correct emotion, to obtain some criteria for selecting tunes, he proceeds to examine the emotions which hymns for public singing should contain, and divides them into three classes. The first is Joy, Praise, and Adoration, with the more remote Awe, Peace and Contemplation. The second class is Prayer. The Third is Faith which relates to hymns of Commemoration and Narration and Doctrine. The emotions he will not allow are the personal and subjective, such as Lament, Contrition and Humiliation, and here he includes almost in parody, Self-devotion and Satisfaction. Whose emotion is the hymn to inspire or heighten? The common man even the man below the average, of narrow or vulgar mind. But the music which offends the sensitive was put into the hymn book for just such a man. This is a practical objection of some force since the music which Bridges was trying to restore was related to the popular taste of its time. The history of church music is the history of the adaptations of secular techniques, and the art of the time has a living relation to the generation which produces it. But he saves himself at the eleventh hour from “renouncing art to be in touch with the music halls” by introducing an arbitrary criterion, that the music must be dignified as well as suitable to the meaning. We require then music which is at once dignified, sacred and popular; and the characteristics of such music is dignified melody. We must say in respect of the theory of emotions, as he calls them, that Bridges had in mind the worst possible conditions of hymn singing and quite general use: he allows to small, united bodies and to missions a greater choice. In his own collection there are many hymns which do not conform to the strictest canons he has set. The latter part of the Practical Discourse is concerned with reviewing in historical order the sources from which such music as he requires should be taken. The earliest class of tune is that of plainsong. He found it necessary to defend this in a fashion which sounds strange now. The modes of plainsong are more suited to melodic as the modern scale is to harmonic purposes. The rhythms of music like the rhythms of speech are of infinite variety, and the unbarred music accommodates itself to the voice and the sense. Bridges is scornful of the efforts of the earlier revivers of plainsong. The next group of tunes is that of the Reformation hymns. Here he eulogises the work of Bourgeois: so highly does he regard him that he is disposed to ascribe to him any fine melody in any sixteenth century psalter. Gibbons he praises highly while lamenting the procrustean uniformality of rhythm imposed on his tunes in current hymn books. Then there are the German chorales, where he remarks a certain fondness. At the end of the seventeenth century come Jeremiah Clark and William Croft and there for Bridges hymnody comes to a stop to begin again reluctantly at the end of the nineteenth century. The popular school of Lord Mornington with its “diatonic flow, with tediously orthodox modulation, overburdened with conditional graces” in the eighteenth century, and that of the nineteenth century with its “profuse employment of pathetic chords” he quickly dismisses. While the technique of art is developing the art is impersonal because the artists are exploring the techniques. Then when the technique is established, individual personality begins to impress the work. This is not wrong as long as the personality is reserved and vital, but mannerisms are to be rejected. The Practical Discourse had by way’ of a footnote an announcement of the forthcoming Yattendon Hymnal. Three parts of twenty five hymns each had already been published in 1895, 1897 and 1898. The Yattendon Hymnal was initially intended as a choir book for Yattendon parish church, but it look shape very slowly and became an essay in a reformed hymnody on Bridges principles. 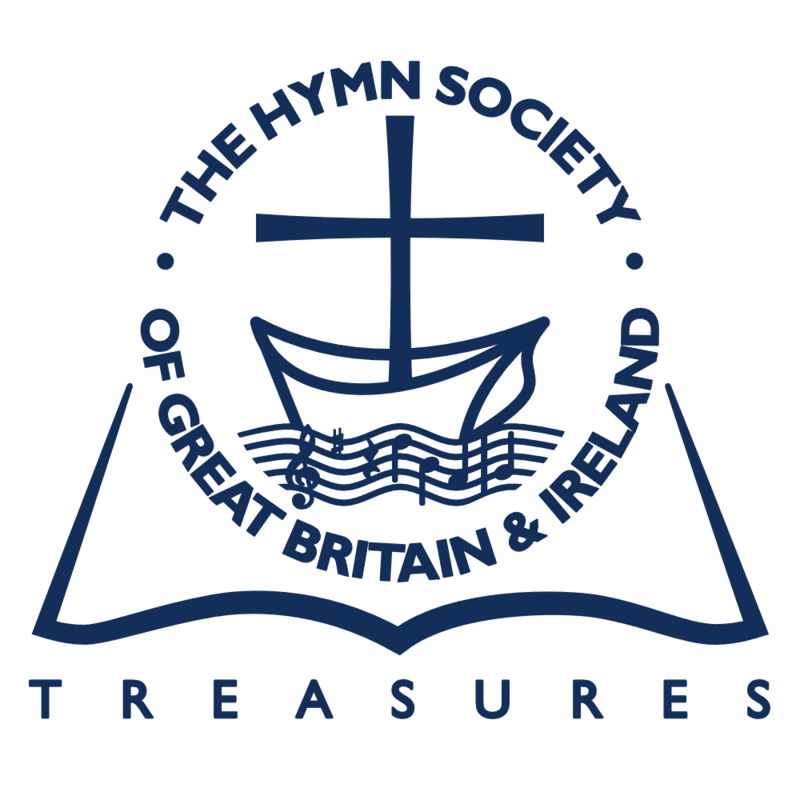 As the Practical Discourse was published in 1899 in the first number of The Journal of Theological Studies while the sheets of the last of the four parts of the Hymnal were in the press, it may be considered the final statement of the principles which governed the making of the Hymnal. Bridges removed to Yattendon in 1882; for some years he trained the choir and gathered together a number of settings of words from Hymns Ancient and Modern for their use. When he gave up his office he resolved to print some of these and from this grew the Hymnal. As the work progressed and Bridges wished to include more tunes, he became aware of a difficulty, that there were no suitable words for many of the tunes. After searching for likely words he began to translate and later to write original paraphrases and hymns. His first hymn, the only original hymn in the first part, appears diffidently enough with the numbers of possible alternative words. Of the forty-eight hymns in the Hymnal which are substantially by Bridges, three are in the first part, fourteen in the second, fifteen in the third, and sixteen in the fourth. As we might expect the music is the primary ground of selection. Classing the tunes loosely, there are thirteen plainsongs, sixteen psalm tunes from Geneva, seven tunes by Tallis, eight by Gibbons, eight other psalm tunes from the sixteenth century, and ten from the seventeenth, eleven German chorales, nine tunes by Clark, and four by Croft, three miscellaneous eighteenth century tunes, and one early Italian one. His gesture to his own time was to include seven tunes by his friend Wooldridge. All Bridges’ hymns are primarily ‘carriers’; that it, each was written to bring into use a particular tune. The beginnings of his hymns are in an outward necessity, and not in the irrepressibility of devotion. For this reason he preferred to translate or adapt where he could: often he began upon the foundation of the original hymn and after the first verse found the music suggesting or inspiring or conditioning the remainder. Bridges was impeccable in the technique of verse and very sensible of the mood of a tune. His hymns are not infrequently theologically uncertain, but technically they are sure. The shape and the content of all the hymns are determined by the needs of their tunes, but as long as the words were true to the tune, minor discrepancies of quantity and accent did not concern him. The custom of putting expression marks beside the verses of a hymn offended him greatly: the sense of the words and music command their own mood without an artificial control thrust on them from without. Purest and Highest, Wisest and most Just. And bring, thro’ Christ, to Him for Whom are all. There is no tongue can tell of this. He may believe who hath the bliss. This verse, illustrates a character of style, a certain naiveté, almost a superficial resemblance to doggerel, from which very few of these translations from the Latin are altogether free. The obvious inversion of the adjective in the third line, the omission of the article in the second line, the structure of the last line are all easy to hand. There is much to be said for this in hymns which have to be sung many times: verbal experiments wear thin in use, but the simple and even obvious phrases take a high polish with handling. The last hymn from a Latin original is Happy are they, they that love God from Coffin. This is so reconstructed as to be almost an original hymn for Croft’s BINCHESTER. The first three stanzas of the original are freely translated and the fourth is replaced by two new verses. This is one of the three most widely reprinted hymns from the Yattendon Hymnal and needs no quotation. There are only two hymns from Greek original and both are evening hymns and both are set to Genevan tunes. Darkening night the land doth cover is from a hymn in Andrewes’s Preces Privatae. It is an excellent hymn and deserves to be more widely known. For the light that doth not die. There are certain recurrent images in Bridges’ hymns, indeed in all his works: an evening of joy and peace is one of the most frequent of them. A cosmic content broods over the Christian man. The other hymn is O gladsome light, O grace which is very well known. The translations from German are the most numerous. The very first in the Hymnal is Now cheer our hearts this eventide for its proper tune. Ah, holy Jesu, how hast Thou offended and O sacred Head sore wounded were both translated from Latin originals but with the approach of the German versions, and for German tunes. These two hymns are really above praise: they are exceptional among English hymns for the nature of their personal feeling for the Passion. In most English hymns on the Cross, it is God who suffers and the hymn is directed through the figure on the Cross to God. In these two hymns it is God Incarnate who is worshipped. Bridges who was very careful to exclude both enthusiasm and false sentiment has attempted a difficult task here and has produced two hymns of great worth and beauty because he has succeeded. The duteous day now closeth from Gerhardt is another of the most popular three. It begins with a noble and free translation of two stanzas of the German and ends with two that are original. Jesu, best and dearest is not so free from the excesses of pietism in the later verses, but it has fine phrases. There are three German hymns in the spirit of Luther. Now all give thanks to God is a much freer translation of Nun danket alle Gott than the popular version of Miss Winkworth which it is not likely to displace although its second verse is preferable to that of hers. They compare favourably with Caswall’s version with its balm and bliss, which with the passage of time have acquired the false sweetness of saccharine. There are ten adaptations from English originals: we will examine only the literary aspect of the alterations, but there are also certain theological considerations. O Prince of Peace, who man wast born is a condensation of seventy-two lines into twenty, which preserves the mood of the fifteenth century original and its refrain and a little of its archaism. The king, O God, his heart to Thee upraiseth is an adaptation of an old version of Psalm 21, headed Coronation Hymn. The type of hymn proper to state occasions is congenial to Bridges style: it is a noble adaptation to a grave Bourgeois melody, and in some ways recalls two other hymns by men of his generation, Kipling’s Recessional and Chesterton’s “O God of earth and altar”. Here is the same sense of God’s favour in his judgements, the same high notion of the things the Lord’s people does not do, the same scorn of boasting: Bridges, nobler and more reticent, does not bring in the Gentiles to point the moral, but the contrast is implicit. Come gentle peace, while shadows fall is headed Anon, in the Hymnal while in the notes it is said to be modelled on Longfellow’s ‘Again as evening’s shadows fall’. In the index of the word book it is marked as Bridges’. The general plan of it seems to be his. Love, unto Thine own Who camest is said to be adapted but is probably almost original. It is a fine hymn in an odd metre for a Genevan psalm. The metre has occasioned some curious accents which may be a bar to its popularity. Five more hymns are slightly altered from later writers. Faber’s Bread of the world in mercy broken has been altered extensively for reasons which can hardly be literary. There are three from Watts: My Lord, my Life, my Love comes from ‘My God, my Life, my Love’ and is rewritten in a way which has certainly produced a literary improvement, although the heart of Watts has gone from it. How beauteous are their feet is provided with a new conclusion which changes the sense of the whole hymn to what Watts certainly did not intend. Christ hath a garden wall’d around comes from ‘We are a garden walled around’, with a certain improvement in style and a corresponding loss in content. It is said to be for marriages. In spite of an expressed admiration for Watts, Bridges has not understood him. Wesley fares better. Was ever grief like Thine has been produced by skilfully writing together three short hymns with not too much loss of spirit. Ye that do your Master’s will is compiled from two short hymns: one of them shows Wesley at his most ingenious in antitheses, and these have been carefully preserved. Lead forth to light, lead to Thy heav’nly day. Rejoice, O Land, in God thy might for Tallis’ Canon is another national hymn in which Bridges excels. It is needless to quote this or the two last: Love of love and Light of light and Thee will I love, my God and King. Both of these are among the very best of hymns and these alone would secure Bridges’ position as a hymn writer. The Yattendon Hymnal itself had little circulation: it was a small collection and a large and expensive book, and much of the material while in unquestioned good taste was dull. The words which were not by Bridges in particular were not an attractive selection. Yet Bridges has a good claim to be the godfather of hymn books in this century, since he applied his great influence at a critical time. A great amount of ancient material had become available during the previous century and was ripe for assessment. Bridges had no historical theory of words comparable to that, he had for music: it would have been better if he had for some works of low literary and religious quality are found in the Yattendon Hymnal. His own hymns are widely used and some are very popular: in eight-major hymn books of the. present time over half of his work is found. He did considerably determine the type of tune that was to become popular: but probably his greatest contribution was his insistence on high critical standards in hymnody. He would not touch what he did not consider worthy and he was rather scornful of other people’s work in the matter. To the last he refused to become involved in a music society or hymnal committee which might compromise his principles.